Pesky, unsightly ingrown hairs are always a challenge to keep under wraps. But as you can see, there are tons of products on the market that are looking to help! 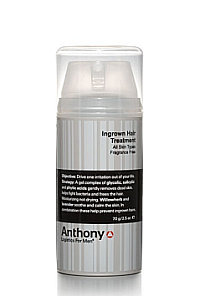 This Ingrown Hair Treatment by Anthony has Glycolic, Salicylic and Phytic acids that are used to help peel, heal and lighten the affected areas of the skin. Which is a great way to approach this treatment since ingrown hairs can leave really ugly scars on the skin. The performance got the job done but at a much slower pace than other brands. For most men who suffer with ingrown hairs, they want a product that’s fast-acting. And in this case, because of how it is designed to work it has to be incorporated in your daily shaving routine and not as an “as needed” treatment. 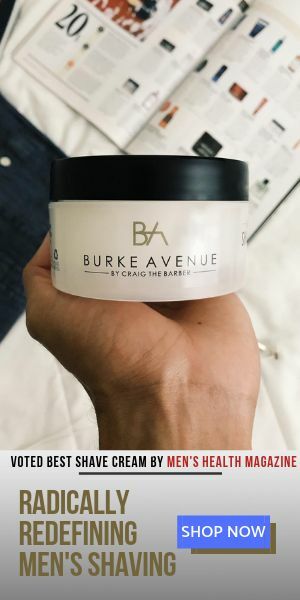 So for me, this product works perfectly for the guy who struggles with the occasional ingrown hair frustration and not necessarily for the chronic sufferer. However in these chronic cases, a re-evaluation of your shaving practices (See my- How To Shave video) may do you good before seeking a faster-acting product!